Olga Antonova was born is 1956 in Volgograd, Russia. She received her MFA in 1980 from the Repin Institute in St. Petersburg, Russia. When Antonova came to the United States in the early 1980’s, her skill with a brush was already quite developed. She has continued to challenge herself and expand her abilities ever since. Highly trained in portraiture, the “inanimate” objects in her still lifes seem to take on an animated quality. They come alive with a vibrancy and depth that make the viewer want to know more. 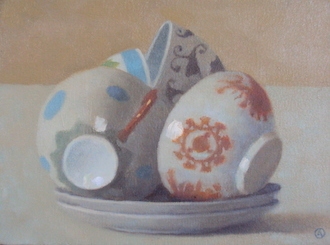 In many of her paintings, Antonova employs the old masters’ technique of curved reflections. Light bounces off rounded metal and glazed porcelain capturing and distorting reflections of nearly surfaces and distant windows adding an air of mystery and amusement to the paintings. 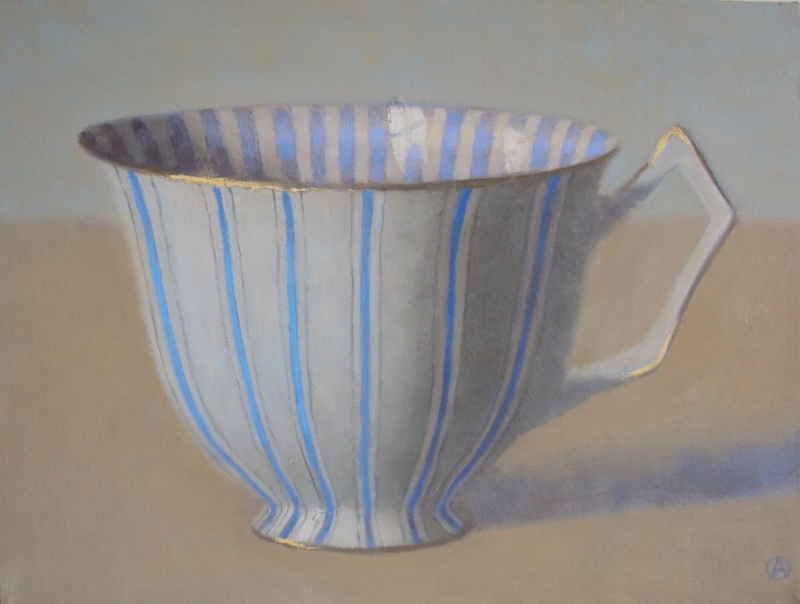 Antonova’s paintings have been exhibited and collected from Maine to California. She has had shows in German, France and Switzerland, and her work has been reviewed many times in publication including Art News and American Arts Quarterly. In 1990, Antonova was given the honor of having images of her work included into the slide library of the National Portrait Gallery at the Smithsonian.